This stunning 10-light Flush Mount Ceiling Light only uses the bestquality material and workmanship ensuring a beautiful heirloomquality piece. 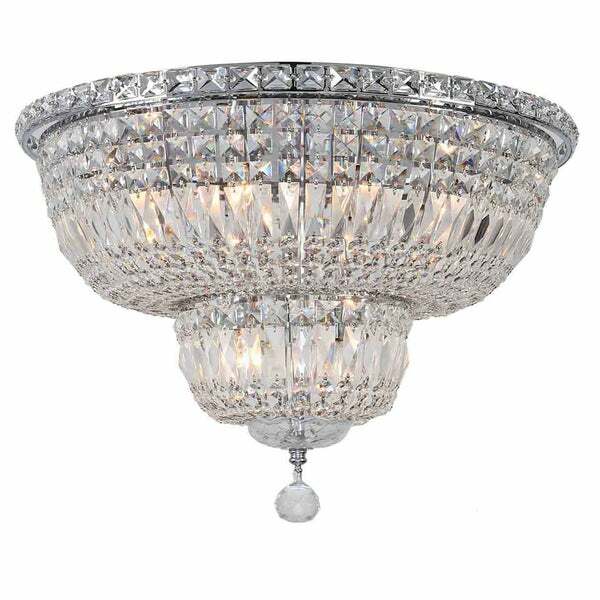 Featuring a radiant Chrome finish and finely cutpremium grade clear crystals with a lead content of 30-percent,this elegant ceiling light will give any room sparkle andglamour. WARNING:Attention California residents: This product may contain lead,a chemical known to the State of California to cause cancer andbirth defects or other reproductive harm. Dimensions 20.0 In. X 20.0 In. X 16.0 In.